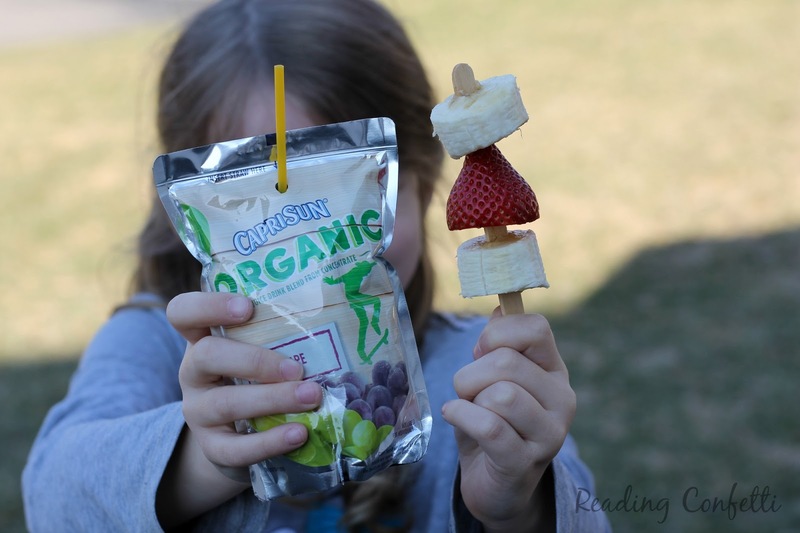 Check out these snack hacks to turn wholesome snacks into portable ones for busy kids on the go. 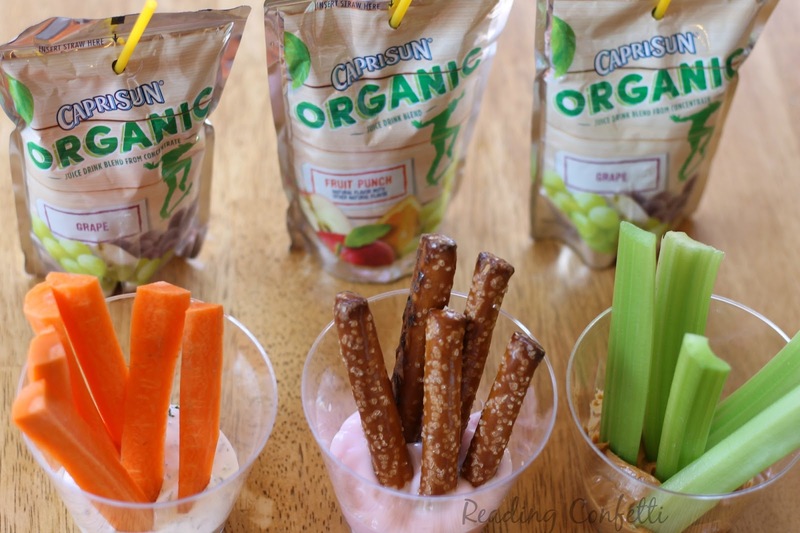 When your kids are always on the go, it can be easy to give them unhealthy snacks just because they're portable. 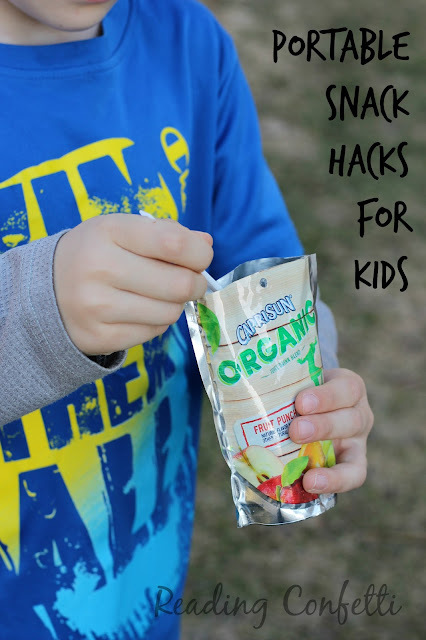 Luckily there's lots of great ways to make better snack choices that kids can enjoy just about anywhere. 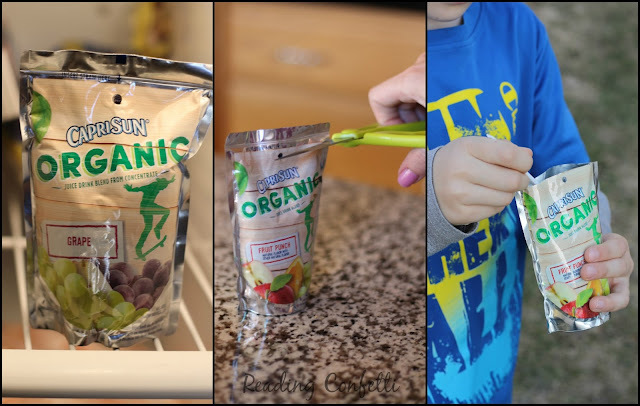 We've always loved Capri Sun because the container is perfect for kids on the go, but now we love it even more because it's available in an organic version. Made with 66% fruit juice and no artificial colors, flavors, or preservatives, Capri Sun Organic is a wholesome choice that kids love for the taste and parents love for the organic, simpler ingredients. It's a certified USDA organic juice drink that contains one serving of fruit. * Our family especially loves that all this comes in a portable pouch that makes this juice drink so easy to grab and go. 1. We put it in a cup. We put dip or sauce into the bottom of a disposable cup, top it with some dippers, and we're ready to go. 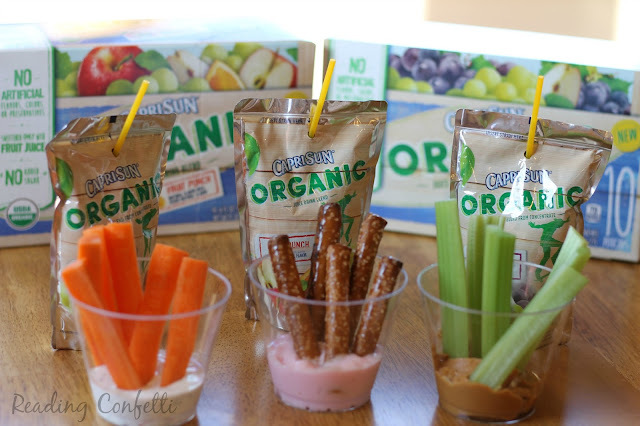 Some of our favorites are carrots and ranch dressing, pretzels and yogurt, and celery sticks and peanut butter. 2. We put it on a stick. Everything is more fun as a kabob. We skewer different fruits, meats, and cheeses on wooden sticks. 3. We put it in a cupcake wrapper. 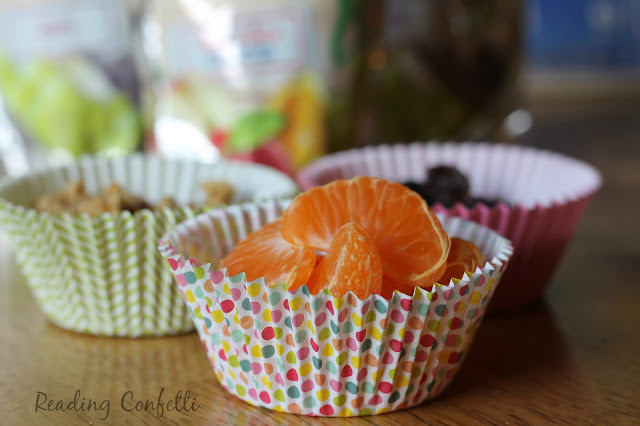 Cupcake wrappers are a fun and colorful way to make snacks more portable and control portion size. They're the perfect container for dry cereal, popcorn, trail mix, or grapes. 4. We put it in the freezer. I saved my kids' favorite snack hack for last. We pop a pouch of Capri Sun Organic in the freezer for a few hours. Then we cut open the top and grab a spoon for an icy snack that's perfect for sunny days. 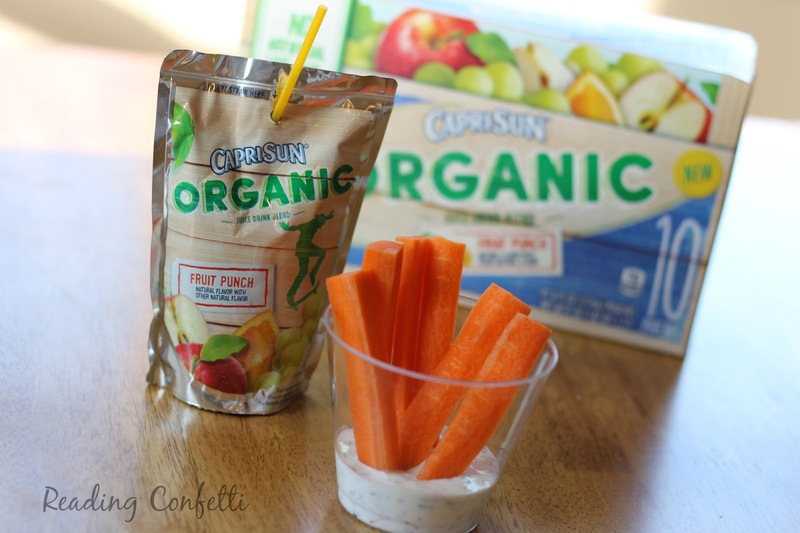 Capri Sun Organic is available at retailers nationwide for $4.29 per 10 pack of 6-oz. pouches in Fruit Punch, Tropical Punch, Apple, or Grape.